Perhaps you are looking for an idyllic little retreat for a romantic getaway, or even the perfect honeymoon spot? 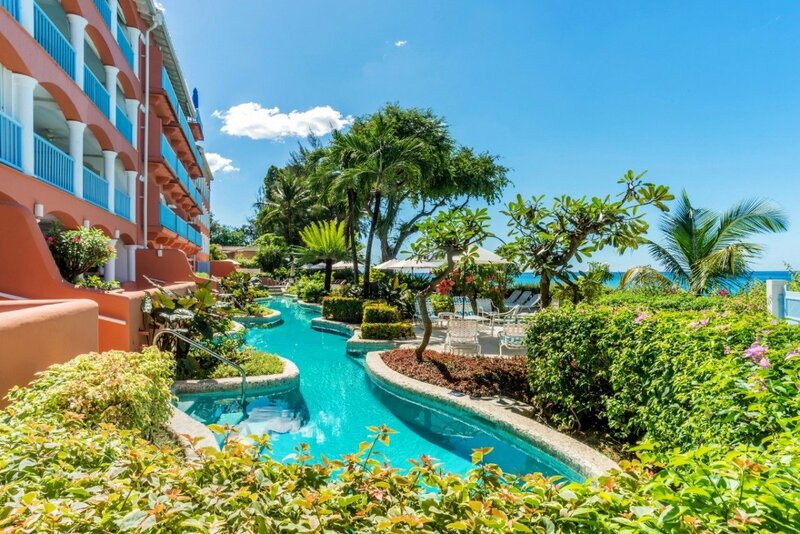 Maybe you and a set of friends want to visit a tropical destination and really relax in style? 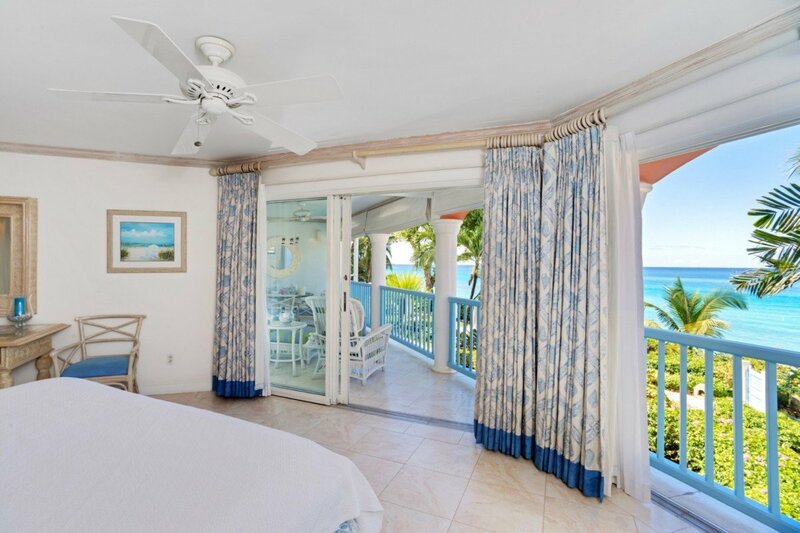 Whether a couple, a family or a set of friends, you will find what you need at the charming Villas on the Beach 205 in Barbados. 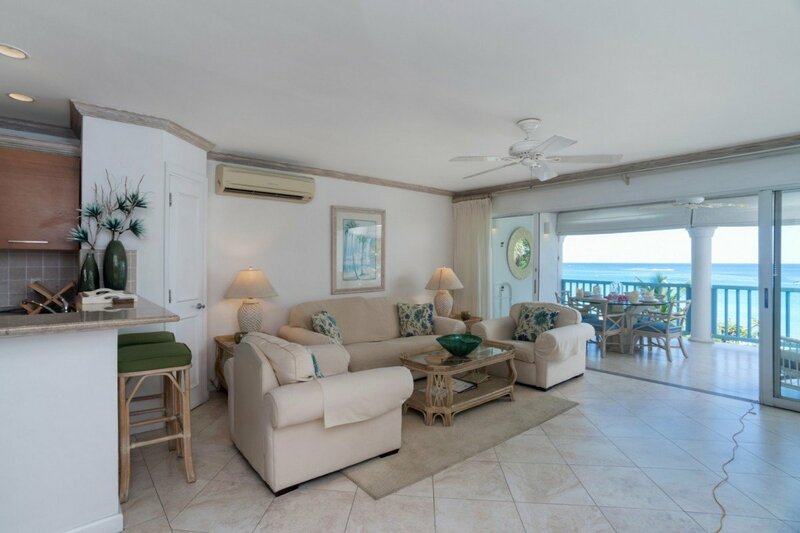 This two-bedroom gem is part of a luxurious beachfront property along the island’s Platinum Coast and is moments outside of Holetown. 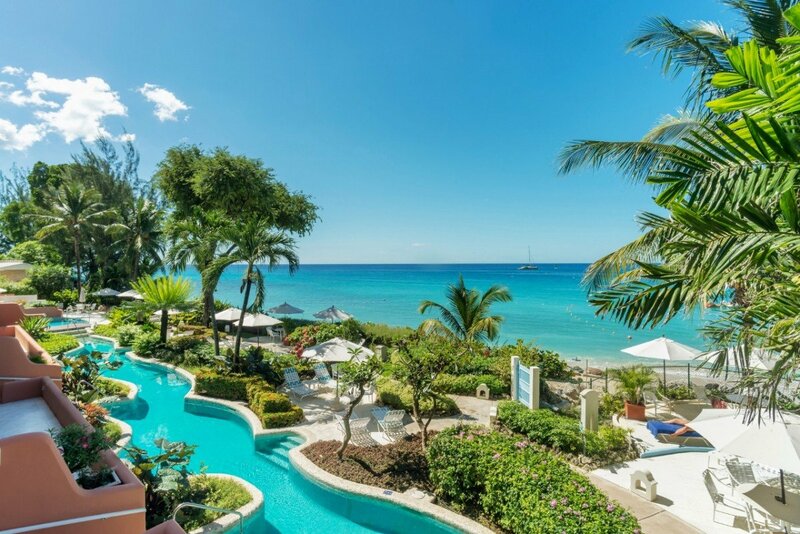 Steps from the silky sands of the coveted west coast of the island, it is a resort-like property that offers a long list of premium amenities to enjoy. 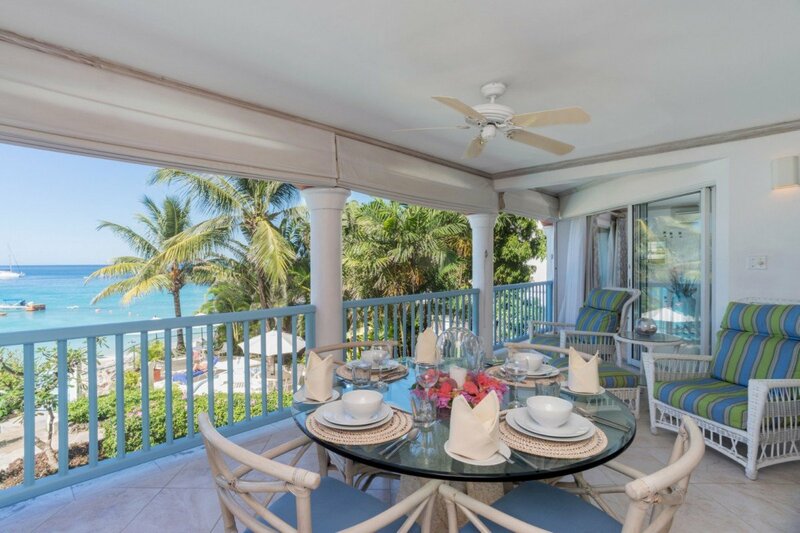 To begin with, your villa sits on the second floor and provides unprecedented sea, beach and garden views. 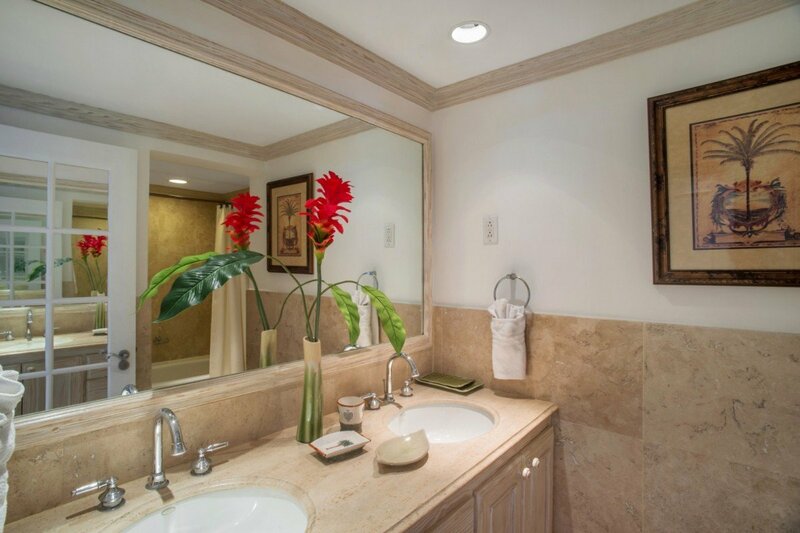 Your stay includes the attentive services of a housekeeper and cook, too, meaning you can savor every moment of your vacation! 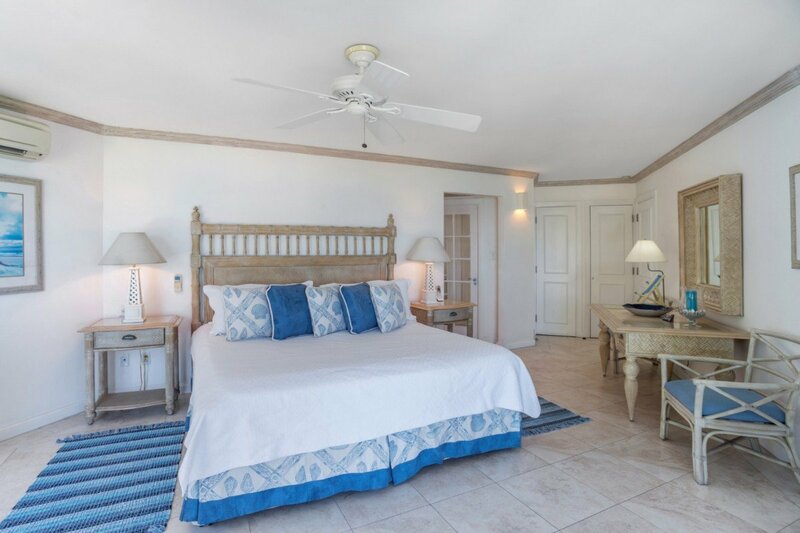 Because you are so close to the best shops, golfing, dining and sightseeing, you can enjoy days out and about, but also know that all your needs are met back at the villa. 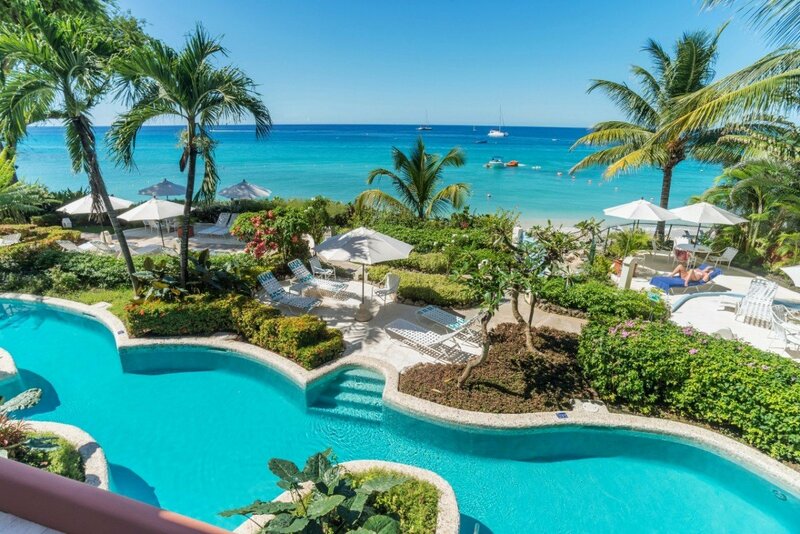 The property provides visitors with access to a stunning pool area with an entirely unique design. Running the width of the property, it is a long and curving shape that includes bridges, small islands of trees and plants, and an array of small sun decks to enjoy. 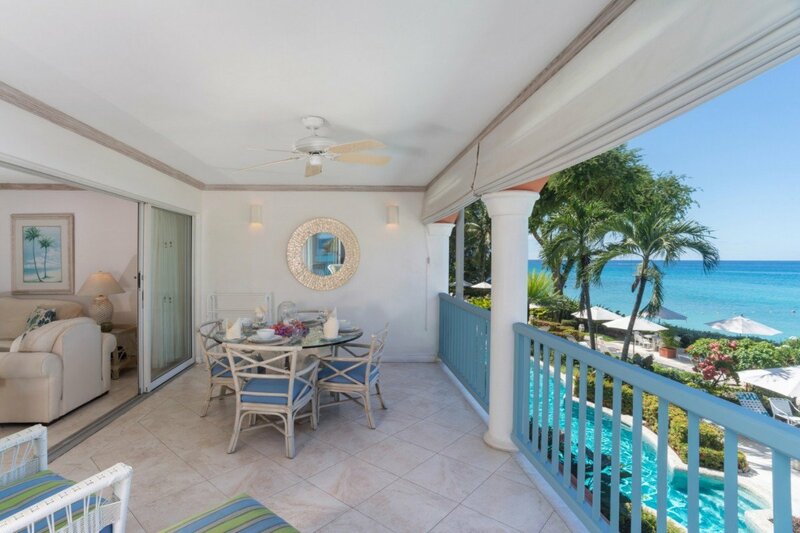 Naturally, you can also opt to lounge about your villa as it offers a wonderful outdoor experience all day and night. Featuring an enormous private terrace, it is a sheltered and appealing spot to dine al fresco or lounge in the oversized armchairs. 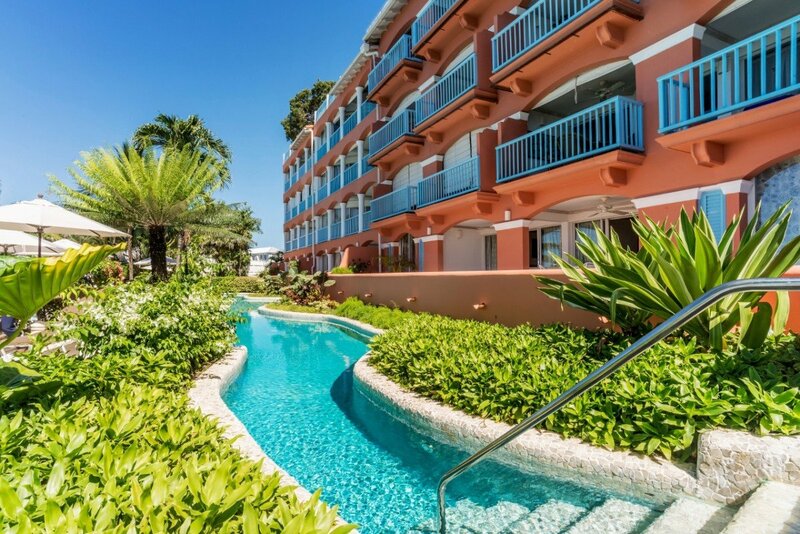 Here you can watch the sunrises, sunsets and stare out at the dazzling sea waters or starry skies in total comfort. 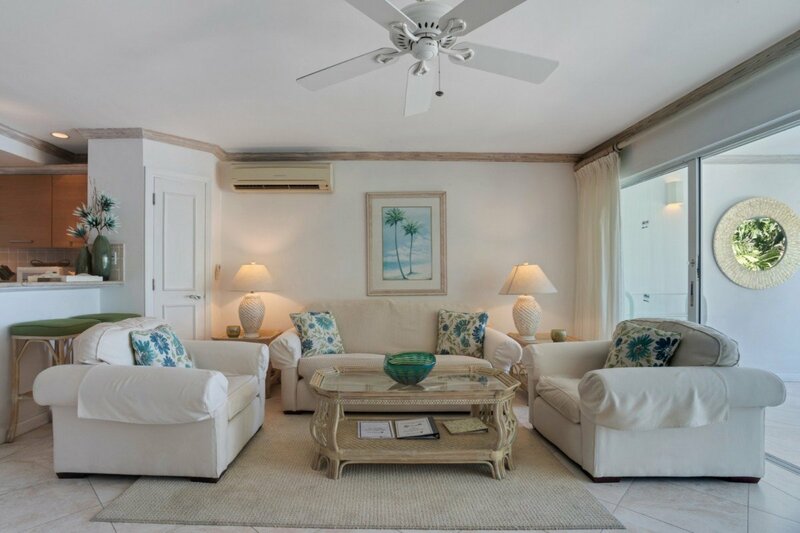 The interior is also ideal for relaxation as it is a great room that features an open floor plan that captures the sea breezes throughout. 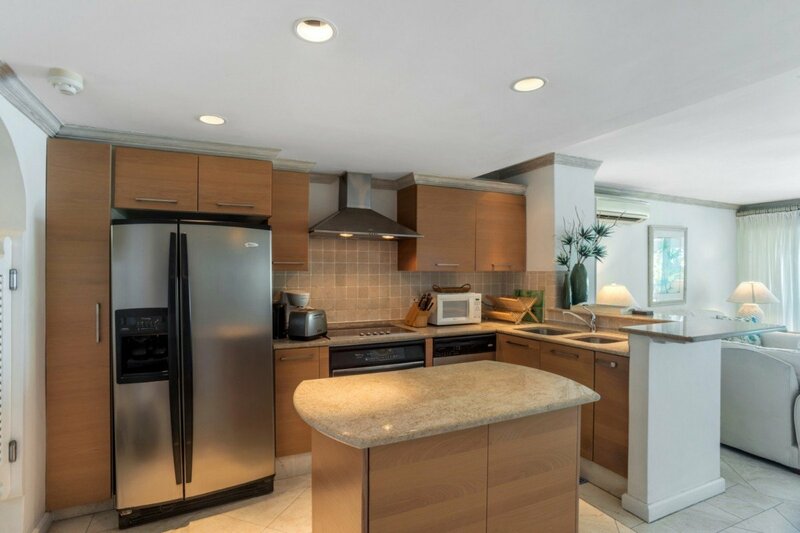 There is a large lounge, a large and fully equipped kitchen, and a breakfast bar. 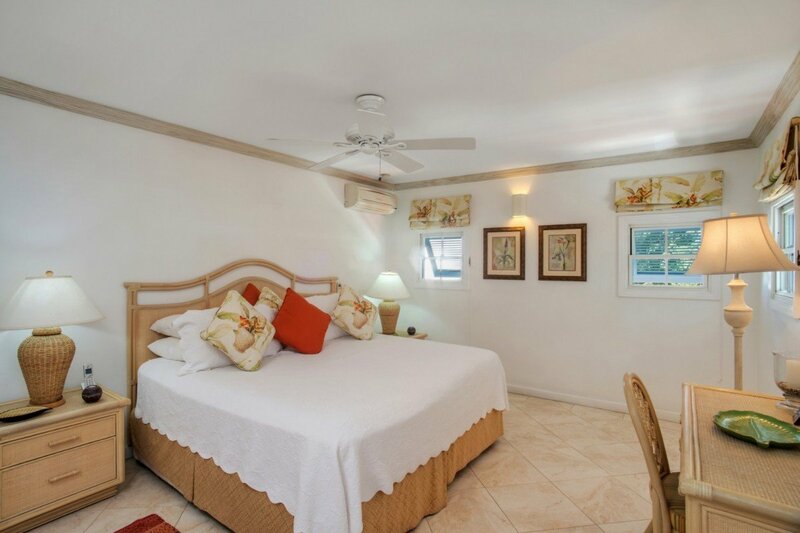 The bedrooms include a master suite that opens to the terrace and which features a king bed with private bath. 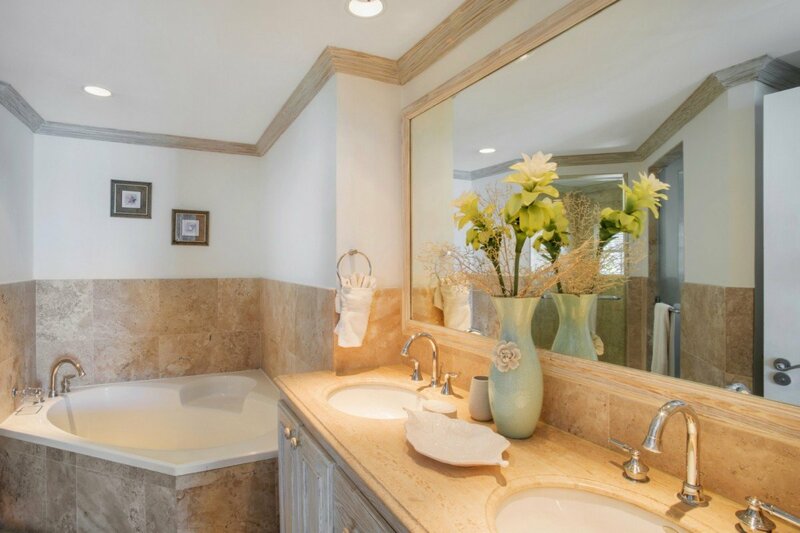 There is a queen suite with garden views and private bath, too. 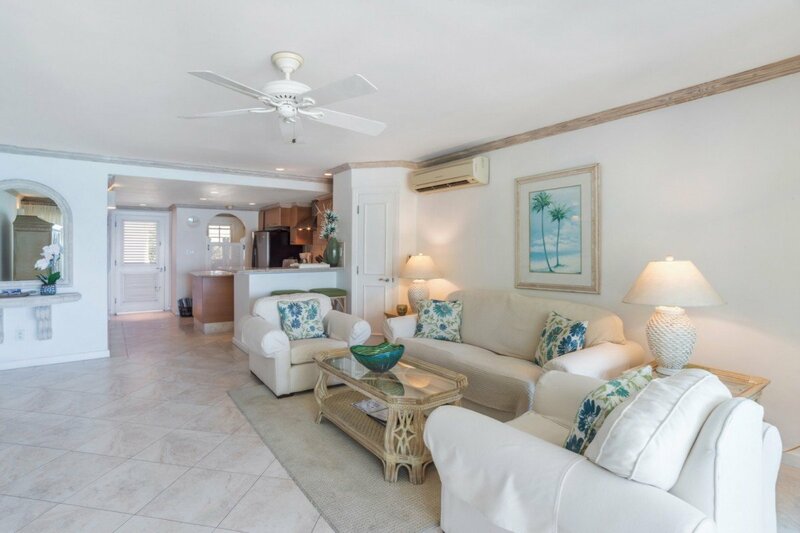 Ideal for a romantic retreat, solo visit, or as a group or family, the Villas on the Beach 205 has it all and is sure to provide many treasured memories for years to come. Bedroom 1: Master bedroom with a king-size bed, A/C, ceiling fan, access to terrace and en-suite bathroom with bathtub, shower, double vanity and wc. 2 guests maximum. Bedroom 2: Bedroom with two single beds (can be converted to a king), A/C, ceiling fan and en-suite bathroom with shower, vanity and wc. 2 guests maximum.